Ep. 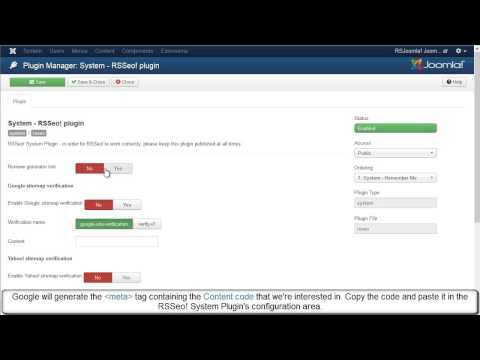 13 - Optimize meta keywords and meta description for each Joomla! page with RSSeo! Home / TV / RSSeo! / Ep. 13 - Optimize meta keywords and meta description for each Joomla! page with RSSeo! In this tutorial, we'll be using RSSEO! 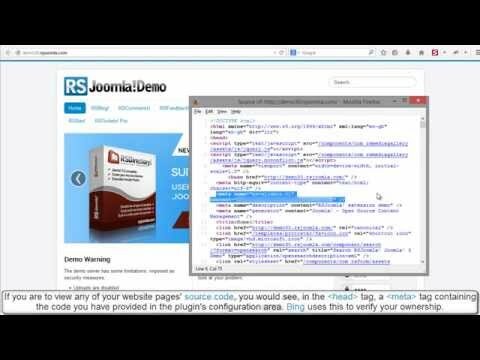 - the SEO suite for Joomla! to optimize the meta description and meta keywords of each Joomla! page. 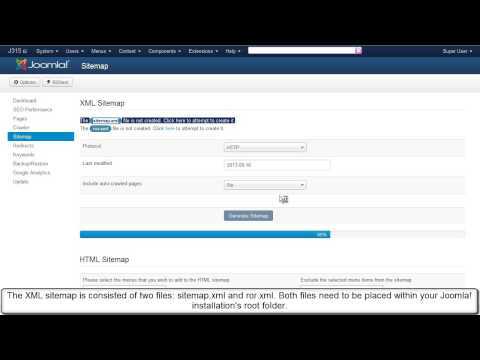 Once you have crawled the website, you will be able to add meta tags to ALL Joomla! pages. Let's see how simple it is to add meta tags to ALL Joomla! pages with RSSEO! In the Joomla! backend panel, head to Extensions >> Install/Uninstall and Install RSSeo! Head to RSSeo! >> "Crawler" tab and click on the "Initialize crawler" link. Choose the crawler level: you can set the this from 1 to unlimited. Once you have crawled the site, ALL Joomla! pages will be displayed in the RSSeo! "Pages" tab. From the RSSeo! 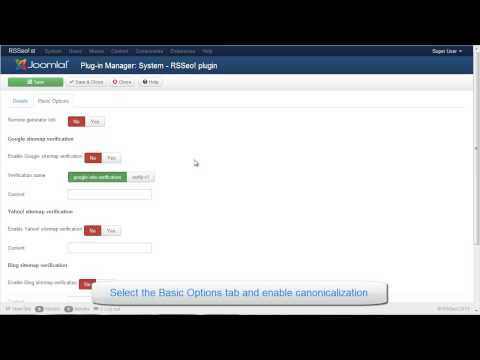 Pages tab, you can optimize all Joomla! pages: you can add meta keywords, meta description, change title tag, etc. Yes, RSSeo! will pick up existing meta data. If the page has already been crawled simply head over to RSSeo! > Pages > edit the page, use the "refresh" button. I have checked and it is not enabled, but if I enable and I did add all title and meta tags before inside menu items... will RS SEO pick it up? or I have to manually adjust/add it again? Pages within the RSSeo! > Pages area can be automatically added only if the you have the "auto-crawl" option enabled (Settings > Crawler: " Enable auto-crawler	") and if (!) the page in question has been opened at least once within the frontend area. what I can not understand is how come some webpages are automatically (Ididnt do anything) inside RS SEO pages, and changing the title tag there affects pages and some pages when I create them (subpages) do not appear there and the title tag needs to be adjusted inside the menu item? I've changed crawler settings to unlimited levels, but when I click on Initialize Crawler or Continue Crawler, nothing happens. A few weeks, a company where I work, buy RSSEO. But after upgrade to joomla 2.5.14 Crawler stop work. Please make sure that you're using the latest RSSeo! rev. and make the test connectivity as it is described in the article: "What's new in RSSeo! rev. 7 and 8"